HI 98107 (pHep®) is supplied with protective cap, calibration screwdriver, batteries and instructions. Multi-level LCD display; Display the current measurement simultaneously with the current temperature. HI 991002 is ideal for plating baths, wastewater, swimming pool and spa water quality and environmental applications. 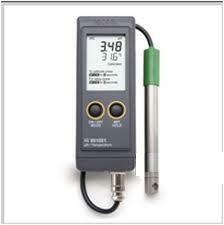 HI 991002 measures pH/ORP/temperature. HI 1297D pH/ORP/temperature probe features an easy to clean recessed tip that prevents solids in solutions from collecting on the sensor. 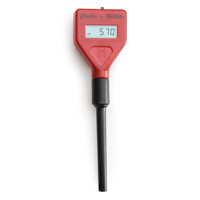 The AISI 316 stainless steel and titanium body of these probes function as a potential matching pin for increased stability of readings and extended sensor life. This compact instrument fits in the palm of your hand and the bottom probe connection ensures the electrode cable doesn’t get in your way. A properly manufactured and maintained pH electrode will retain its measuring integrity for a long time. As a result of many factors such as age, poor maintenance or improper handling, any electrode in time will lose its integrity. 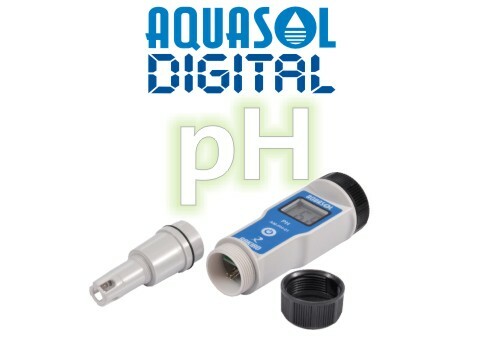 The most common cause for pH measurement inaccuracies is an unclean or improperly cleaned electrode. This is very important to note, because during calibration, the instrument assumes that the electrode is clean and that the standardization curve created during the calibration process will remain a valid reference until the next calibration. 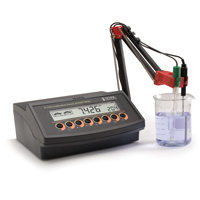 The HI 2223 is a pH benchtop meter featuring our exclusive Calibration Check™ diagnostics for both pH?electrodes and buffer solutions during calibration. This instrument compares the characteristics of the pH electrode from one calibration to the next. In the case of large variances in the electrode condition, it alerts the user that the electrode needs to be properly cleaned prior to calibration and measuring. The second feature is to detect if the calibration buffer solution is contaminated. After calibration, the probe condition is evaluated and an indicator is displayed informing the user of the overall pH electrode status. This meter can measure using ORP electrodes (pH channel input), due to it’s capability to measure mV with a resolution up to 0.1 mV. HI 2223 also features five point calibration with seven standard buffers, Automatic Temperature Compensation and GLP capabilities that allow for the storage and retrieval of all data regarding pH. With a built-in logging function, measurements are stored in non volatile memory and can be transferred to a PC through the USB port. Users can manually log up to 200 records and interval log up to 500 records. HI 2223-01 (115V) and HI 2223-02 (230V) are supplied with HI 1131B pH electrode, HI 7662 temperature probe, HI 76404N electrode holder, HI 70004 pH 4.01 buffer solution sachet, HI 70007 pH 7.01 buffer solution sachet, HI 700661 cleaning solution sachet, HI 7071S electrolyte solution (30 mL), 12 VDC adapter and instructions. The BL 931700 mini pH controller has been designed for easy, affordable installation in tight spaces to perform simple yet effective process control. 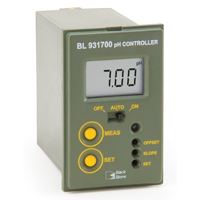 Thanks to its compact size, the BL 931700 mini pH controller can be installed right next to tanks or vats. BL 931700 is provided with a selectable set point for acid or basic dosage. Measurements are directly taken from a pH electrode in the range from 0 to 14 with a 0.01 pH resolution. Accuracy is ensured by two point calibration, performed manually through trimmers on the front panel. 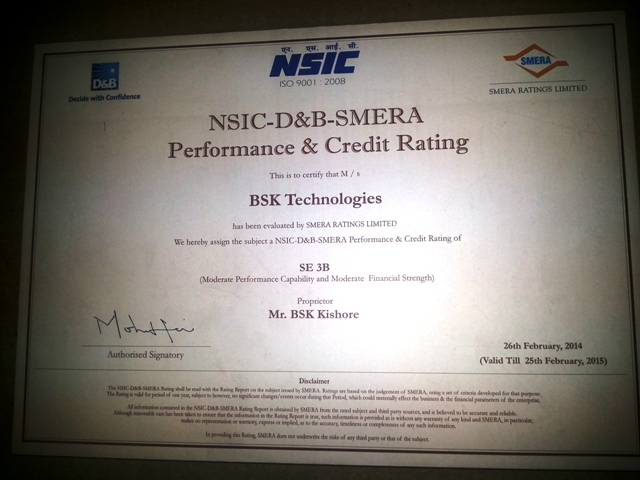 it permits operators to enable or disable the dosing relay according to need. The overtime control system advises users when the relay is active for too long, helping to prevent overdosing. In addition, this model features a 4-20 mA analog output for recorder connection. BL 931700-0 (12 VDC) and BL 931700-1 ( 115/230V) are supplied with mounting brackets, transparent cover and instruction manual.